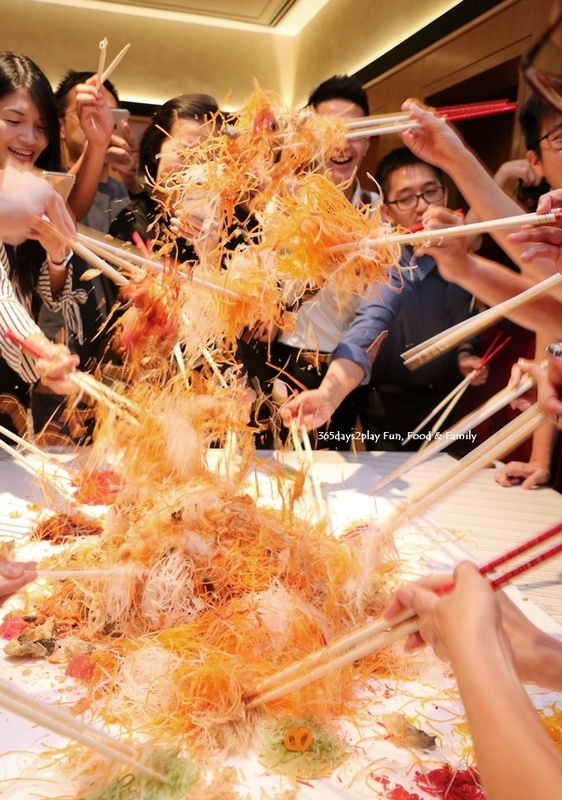 Featuring lobster, sea urchin, hokkaido scallop, tuna, salmon, caviar and crispy fish skin, this $256++ yusheng has enough of the expensive bits to keep everyone happy. Despite the vigorous tossing, I even managed to discover a whole piece of sea urchin in my yusheng portion. Huat ah! 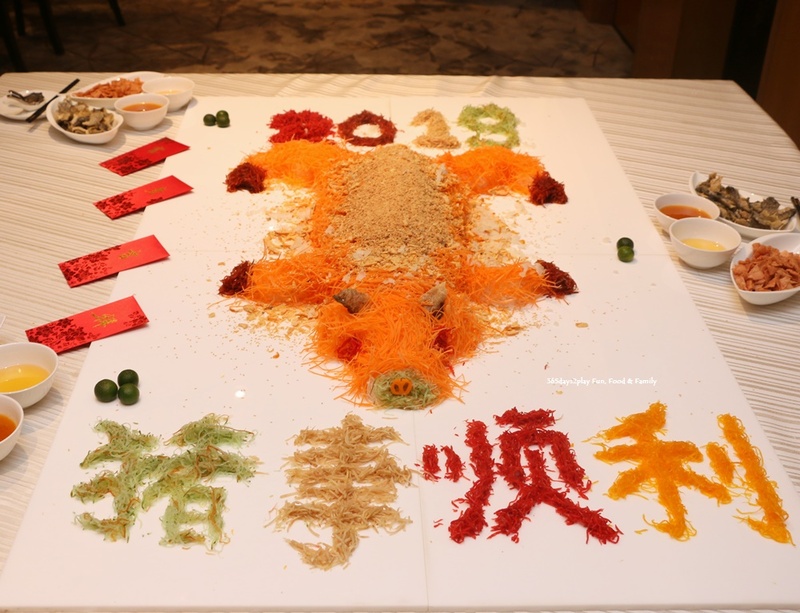 Cheaper versions of yusheng including a smoked duck breast and crispy fish skin (if you don’t want any raw food), as well as a vegetarian version are also available. Toss it as high as you can! Wan Hao Imperial Pot of Prosperity Pen Cai (盆满钵 满 (黄金盆菜)) (Large: $1088++, Small: $688++, picture at the start of this article features the small version). 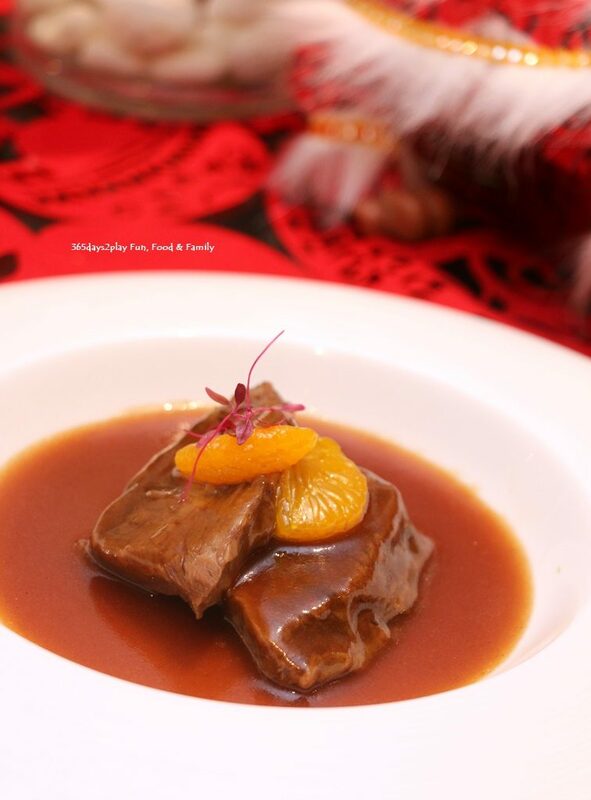 With its indulgent amalgamation of 13 luxuriant ingredients served in a festive casserole hot pot, this delicacy is not only steeped in auspicious symbolisms, it boasts the ultimate in taste, presentation and collagen. Labouring over the stove for several hours to create the perfect Lunar New Year delicacy, culinary gems include Australian 3head Abalone (the smaller the number, the bigger the abalone! 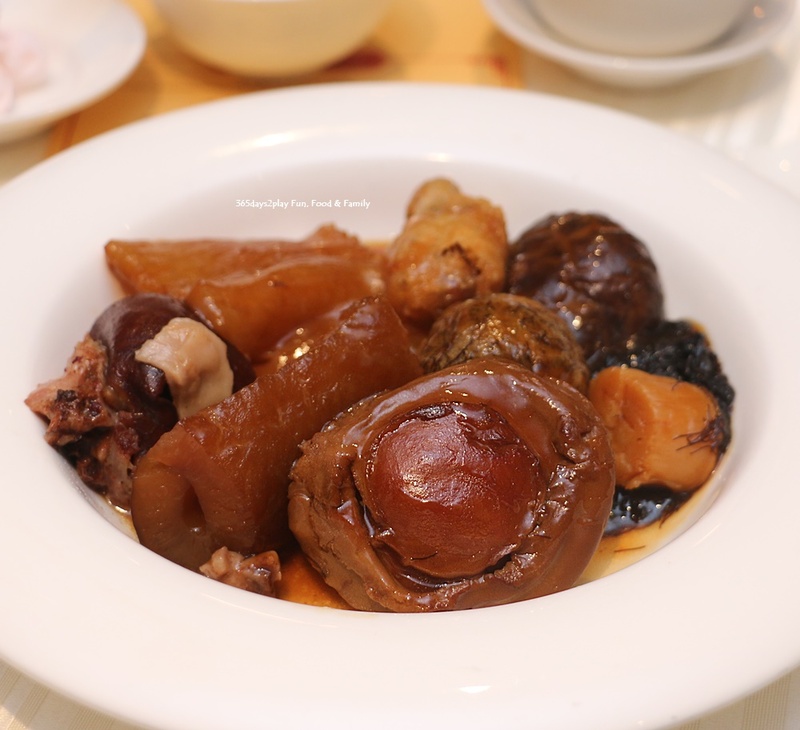 ), Crispy Dried Oyster, Braised Irish Duck, Whole Pig Trotter, Black Moss Dace Fish Paste, Conpoy, Sea Cucumber, Fish Maw, Japanese Shiitake Mushroom, Black Moss, Baby Chinese Cabbage, Mustard Greens and White Radish. I have to say this is probably the best Pen Cai I have ever eaten. 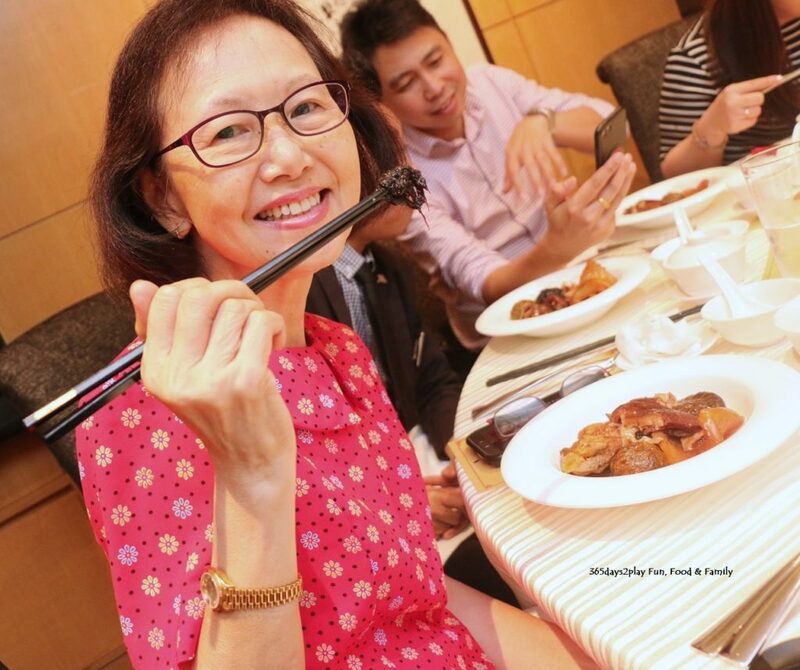 When it comes to Pen Cai, it sometimes feels like if you’ve seen one, you’ve seen them all because it seems to be a race to see who can stuff the pot with more expensive ingredients. But what sets this Pen Cai apart is the amazingly flavourful broth. The first thing I happened to eat was the humble black moss (which by itself is rather tasteless), and together with the savoury broth, tasted like the most refined version of mee sua ever, simply pure bliss. And if you did think the abalone looks huge in the picture, well it is huge. 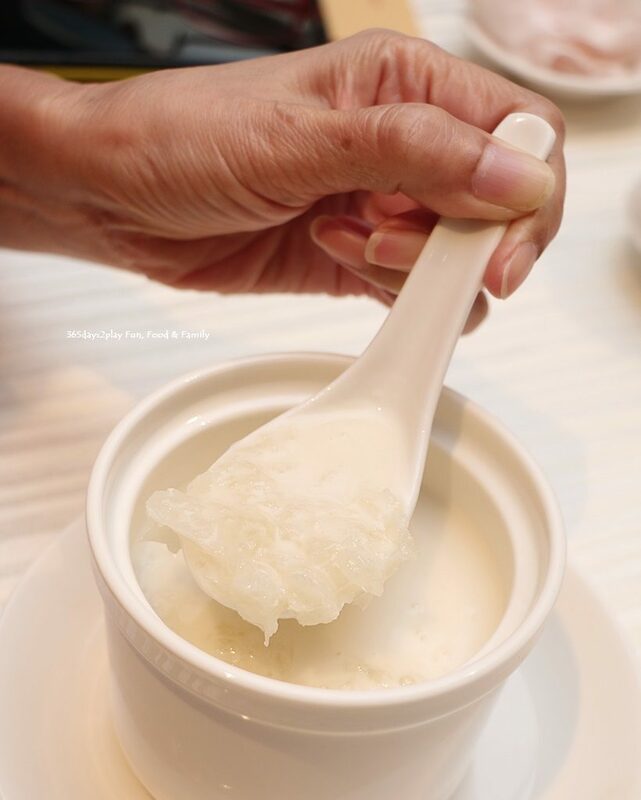 When it comes to Chinese desserts, for decades I have been avoiding anything that has been made with almond because there is this very medicinal and fake taste to it. I have never understood it and I always wondered why people could tolerate this taste. That is until I had this almond soup. I’ve never come across almond used in a savoury soup like this before, usually it makes its appearance in desserts, so this itself is noteworthy already. But the most amazing thing is that instead of the medicinal taste I was bracing myself for, I tasted gentle notes of fragrant almond essence, nothing too in your face, but a melodious background instead. This fish maw soup was absolutely delectable and I finished every last drop. Loved the fried lobster but don’t think the cereal worked. Would have been better if a crisp cereal was used, but this one was thicker than usual and a little hard. Also, a bit too much passion fruit mayonnaise, which can’t be swept off because the lobster pieces had been rolled in it. Fork tender beef ribs. A very nice version with a nice CNY element to it. Once again, I was bracing myself for the pungent medicinal taste, given that this entire bowl would be essentially almond cream (as opposed to the almond stock, with many other ingredients competing for space as well), but once again, pleasantly surprised to find that I really enjoyed this dessert. I don’t know why the cheap almond desserts sold at desserts stalls are so vastly different from this? 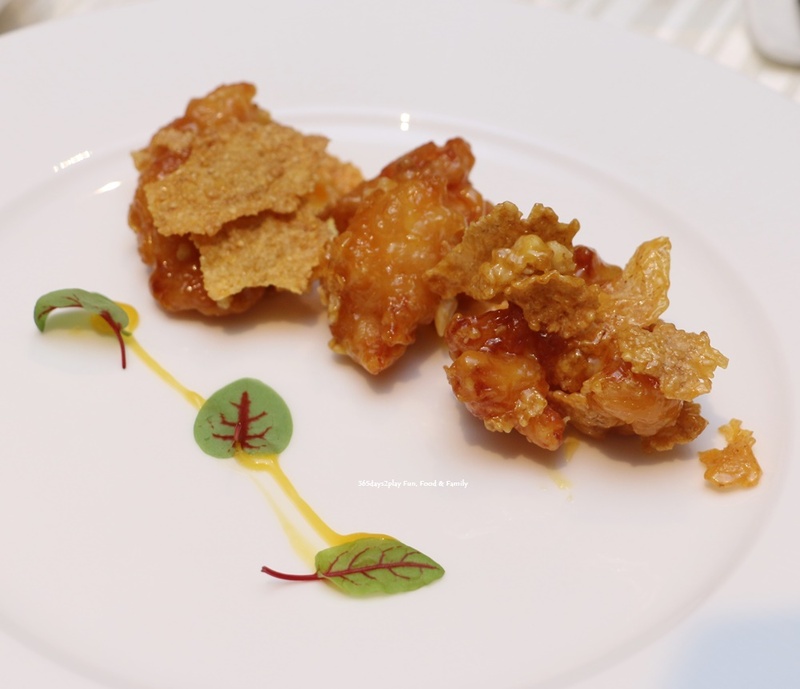 The chef at Wan Hao will probably attribute this to quality of ingredients and attention to preparation! But suffice to say that this meal has forever altered my perception of almond based Chinese desserts! Here’s a picture of my mother enjoying the black moss in the pen cai dish! 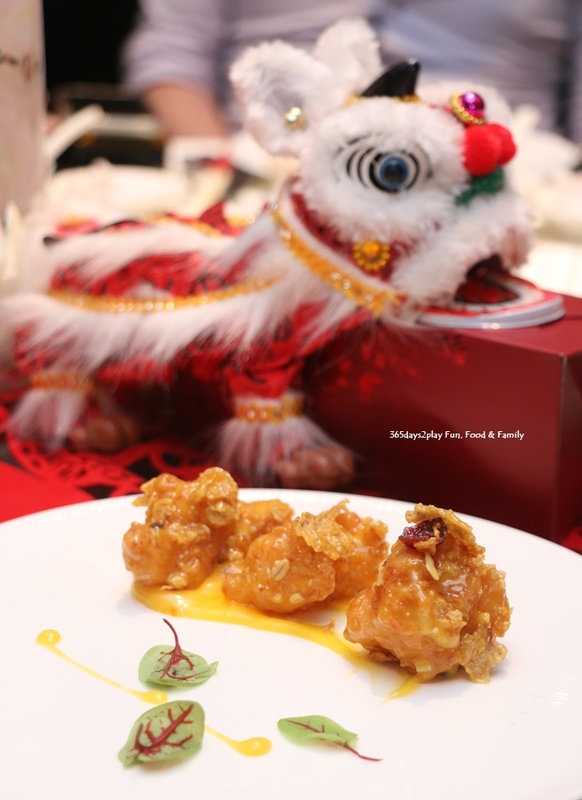 If you have a chance to influence where your boss takes you for the company’s CNY celebration, I think you will find that Wan Hao’s CNY offerings this year won’t disappoint! 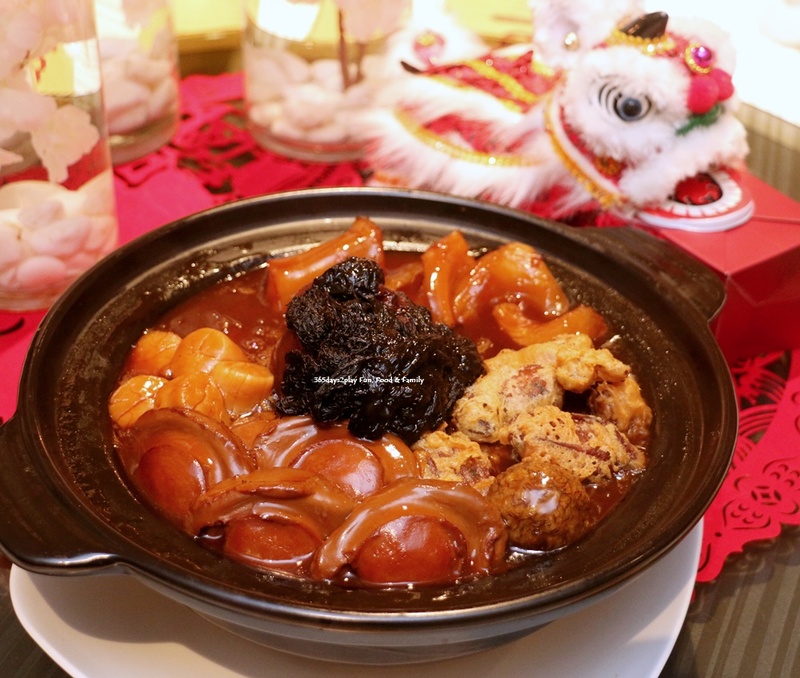 Lunar New Year Eve Set Menus (4 February 2019) – from $108.80++ per person (4 to 8 persons) to $2088++ per 10 persons. These Set Menus are also available at the Grand Ballroom. 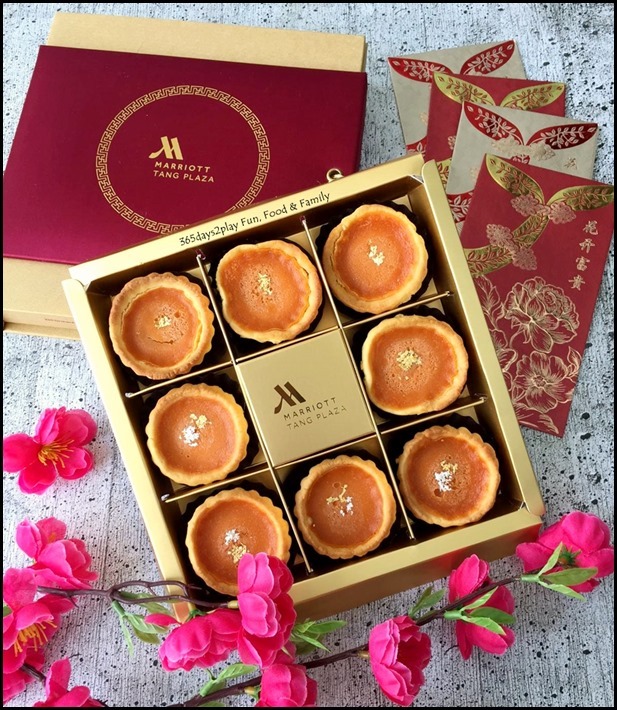 As with any Chinese New Year celebration, CNY goodies are a must. 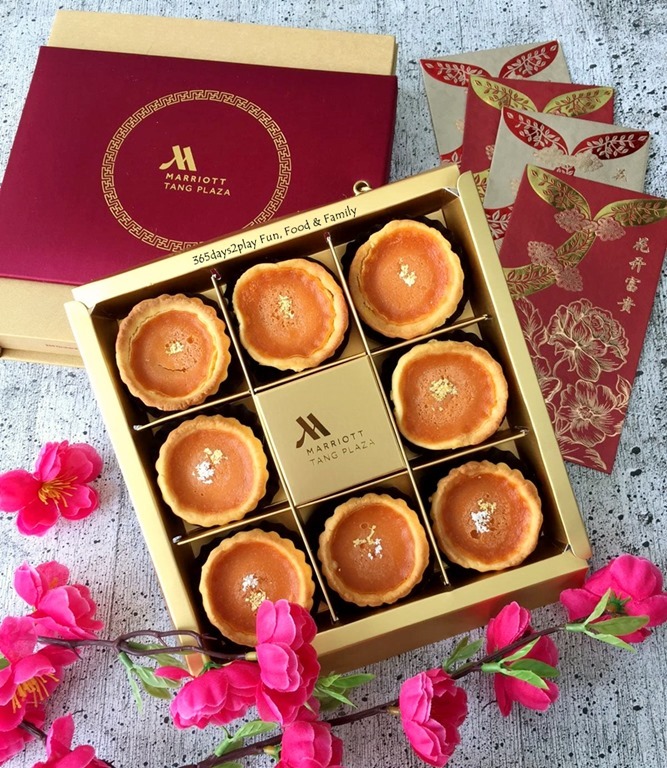 Featured above is the Golden Nian Gao Tarts, a variation from the usual sliced nian gao that we usually see in the market. 3 flavours to choose from: Green Tea, Cempedak and Yam. $30-$32 / 8 pieces. I stay near Orchard Road and visit MARRIOTT at least 5 to 6 ti,es a month. Have to admit the food taste like heaven and every customer I take in to there had loved the food. More than my business dealing, the food provided here have closed most of my business deals. Guys have some fun there.